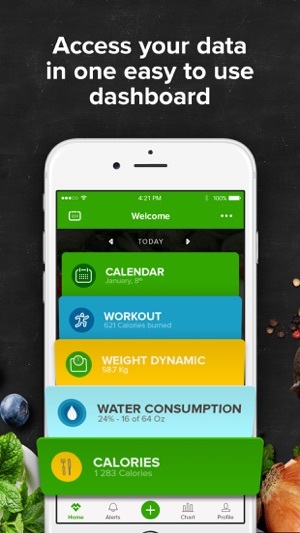 World`s first calorie counter and nutrition coach that gives you personal recommendations on what to eat next to stay healthy and nourished! 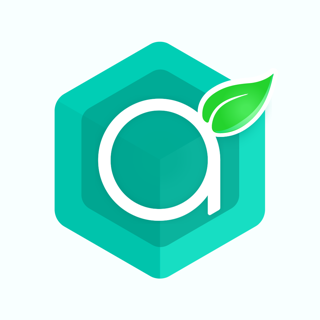 It’s powered by artificial intelligence, so it`s just like having a pro dietitian at your fingertips. Just tell Mealviser what you’ve had to eat and the exercise you’ve done today. 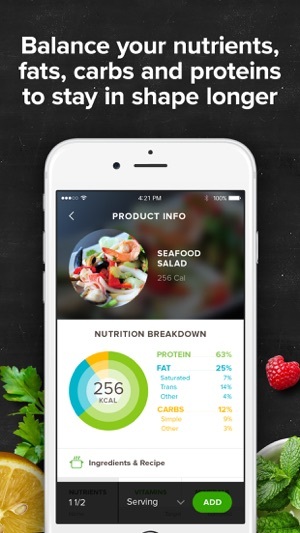 Mealviser’s unique engine will track your calories, fat, protein and carbohydrate intake, then provide a custom meal recommendation on what to eat next. 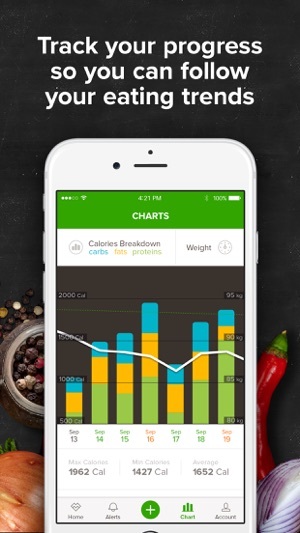 Whichever lifestyle you follow - vegetarian, vegan, keto, high-protein or something else - our app is highly customizable, so you won`t have any problem tailoring it accordingly! You can choose from our huge library of recipes or choose dishes from nearby restaurants - as well as put in any basic foods! Whether your goal is to lose weight, gain weight, get leaner, improve your nutrition or maintain your already healthy lifestyle, Mealviser nutrition tracker is right there to help you succeed! A huge database of more than 500 000 meals ensures that we’ll always find the very perfect, delicious and nutritious meal for yourself. Convenient, simple interface. No manual calorie counting, just put in your meal. Social media sharing options provide positive reinforcement and make getting healthy fun! 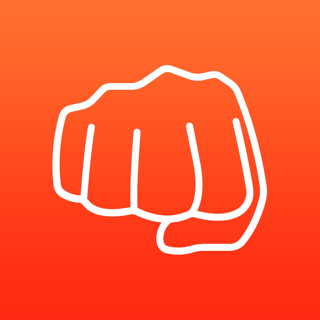 MEALVISER HELPS YOU STAY MOTIVATED. We`re human, you`re human, and it`s okay to slip up. 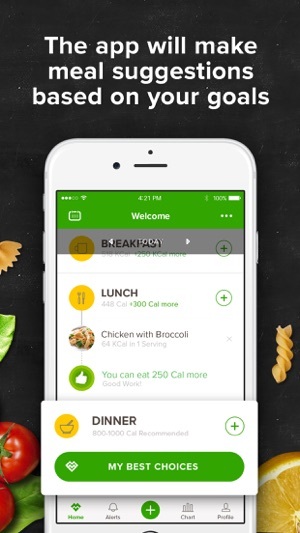 If you skip a meal or overeat, Mealviser will get you back on track by the end of the day. Tell Mealviser what you like and what you don’t, so you’re never stuck eating something you hate in the name of your diet. Short-term diets don’t work. 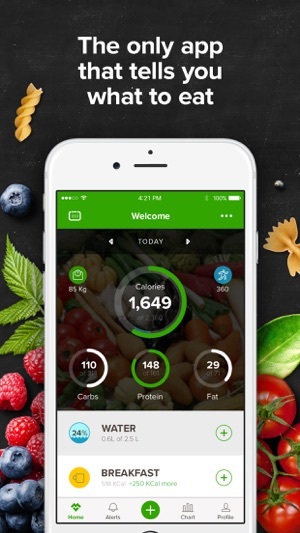 Change your lifestyle to get ahold of your health with Mealviser! This app is very easy and fun to use. It is colorful, tutorial is straightforward and simple. I love the barcode feature so you dont need to bother typing in the name or search for it in the database! However, some things may not load well such as the pictures you take with your food. Its hard to gauge how much water i drink but I think that’s my own problem. I would also like to measure how much I eat of each food, for example, I could eat less than one serving but I can only record eating one serving. Otherwise, GREAT APP!! It’s fairly new so I would wait out the problems!! Thank you for your feedback! We will look into the pictures issue to make sure you have the best experience possible. You can adjust the serving size by selecting the number or unit measurement when adding your food. If this is inconvenient, please let us know and we can work on something that will provide a better experience. Hi, we have fixed this problem with our latest issue. We are sorry for the inconvenience and delay. Please let us know if you have any questions or concerns! 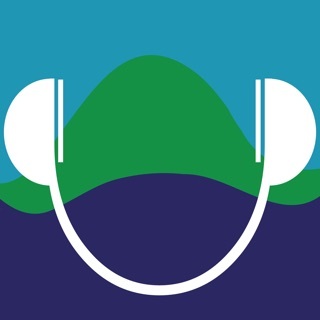 The app definitely brings something new to the table that you can't find elsewhere. It's still new, not without flaws. That said, having the recommendations to differentiate itself in a meaningful way is more important to me than the hundreds of apps out there that only differ in logo. High hopes for future development.